New Mexico, often called as the land of Enchantment, is one of the largest states. At the same time, it is ranked among least populated states of US as most of the land is protected under state government for national parks. It was the 47th state admitted to US union in year 1912. State government’s focus is on promoting business and assisting in providing more employment opportunities to decrease the unemployment rate in state. Major drivers of state economy are tourism, spending by federal government and natural gas and oil production units. Health care industry is a crucial and integral part of state’s policy making process. At present, New Mexico is facing health crisis due to cutting of funds related to various medical operations and Medicaid centers. 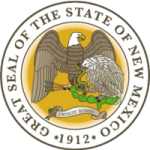 New Mexico Board of Nursing is a state agency, which works for the welfare of public and safety of public health. The Board regulates safe and effective nursing practice and services. There is a licensing division under the state nursing board, which certifies and issues licenses to various applicants. Board has a certain vision and mission, which serves as the basis of its working and actions. To achieve excellence and higher standards in regulatory practice is the goal of New Mexico Board of Nursing. It reviews the various nursing programs in state and maintains a record of pass rate of various certification examinations also. You are free to access the board records as these records are kept to assist in betterment of services and provide valuable information to various licensees and applicants. Public Protection and Customer Service are important aspects of nursing practice. The Board ensures enforcement of various administrative, government and nursing laws to provide optimal nursing solutions. Who are the Board Members of the New Mexico Board of Nursing? There are 7 board members appointed by the governor from various counties. The board members have a fixed working tenure and can be reappointed only once. The Board members are responsible for making decisions regarding any nursing issues in state. There are some official board staff members appointed over the board members to ensure smooth and effective board functioning.